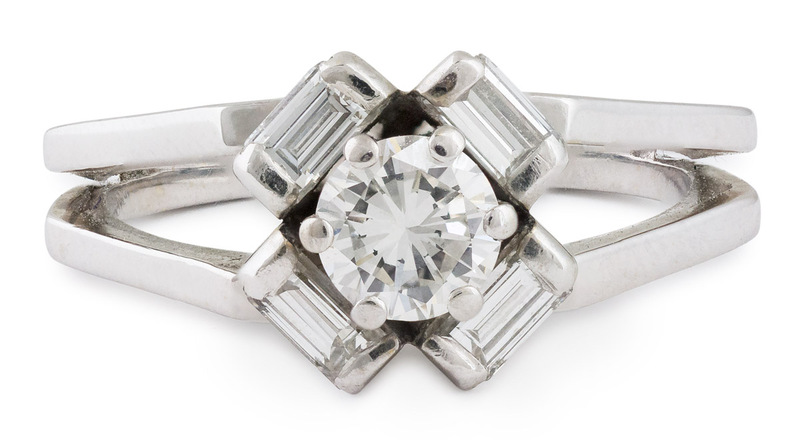 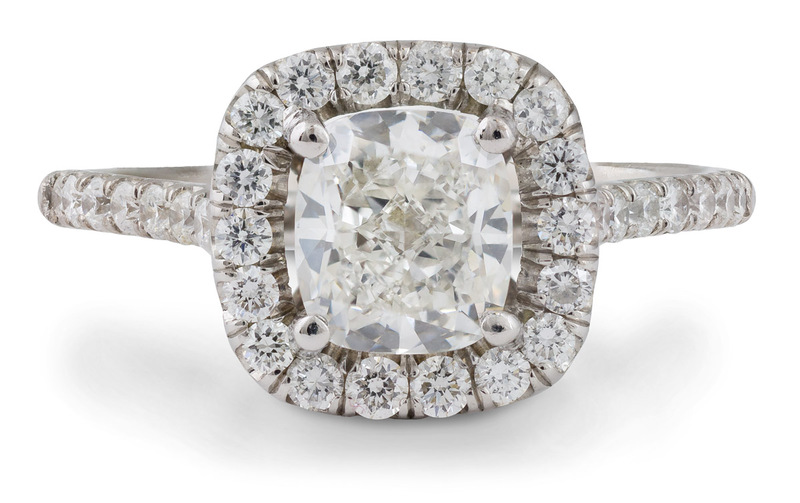 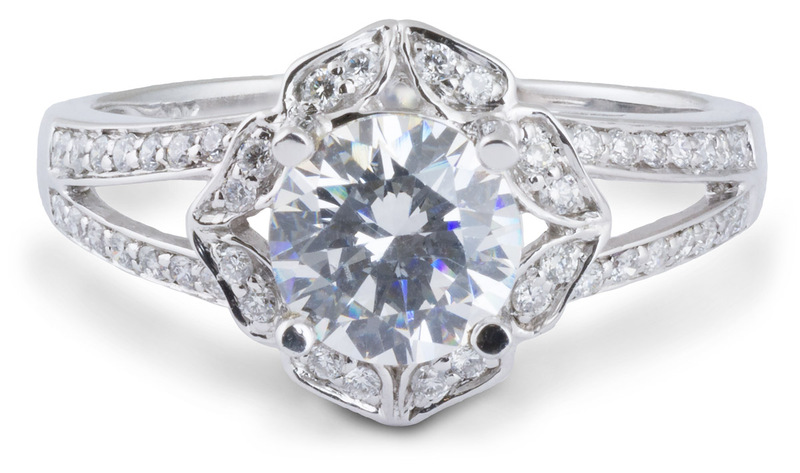 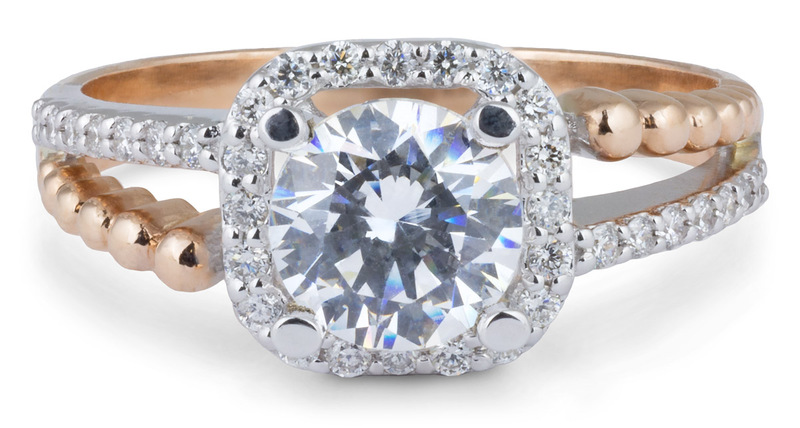 This gorgeous two tone engagement ring has a round center stone rising above a cushion halo of round brilliant diamonds. 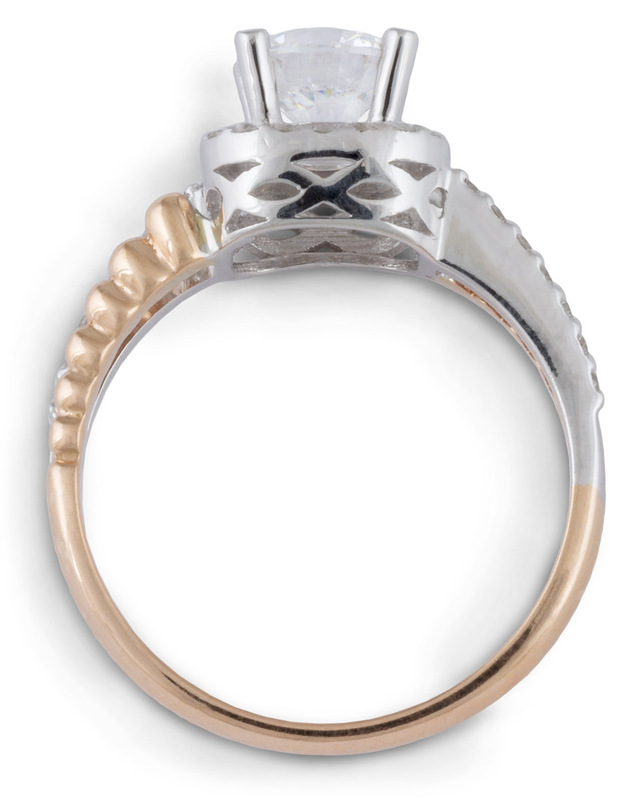 Diagonally opposing branches of the split shank are studded with diamond accents, and the other branches have a rose gold bead pattern, creating a lovely mirrored look. 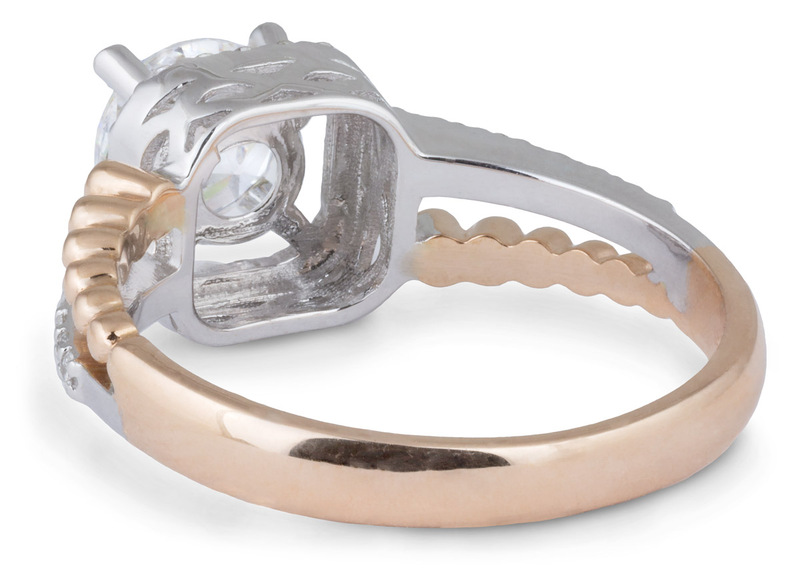 18k Rose Gold?, 18k White Gold?